IFA Berlin, A showcase for innovation and the technology of tomorrow - coupled with a spectacular programme of entertainment events. 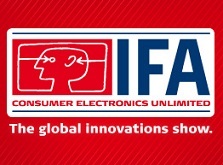 IFA Berlin is the world's leading sales platform and the CE industry's number one venue for doing business. 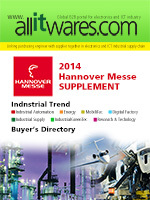 International representatives from the consumer electronics, information technology and communications industries, German and international trade visitors with a special focus on industry professionals (buyers, retailers, wholesalers, installers, sales cooperatives), National and international journalists and media representatives, Public Visitors. Profile for exhibit includes TV DVD Home Cinema Home Server & Recorder, HiFi Loudspeakers Special: High Performance Audio, Imaging Photo Video MP3 Computing Games Memory Solutions, TV-Stations Radio Public Music & Video Areas Professional Media, Telecommunication Cable Mobiles Navigation IP Net Solutions Antennas, Suppliers Semiconductors International Halls Special: TWF Technisch-Wissenschaftliches Forum.